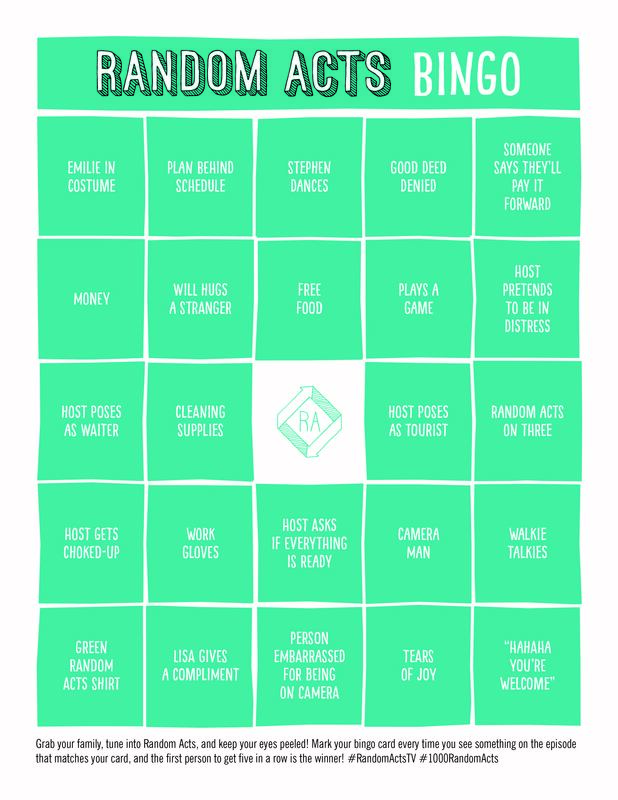 Watch Random Acts and Play Bingo! 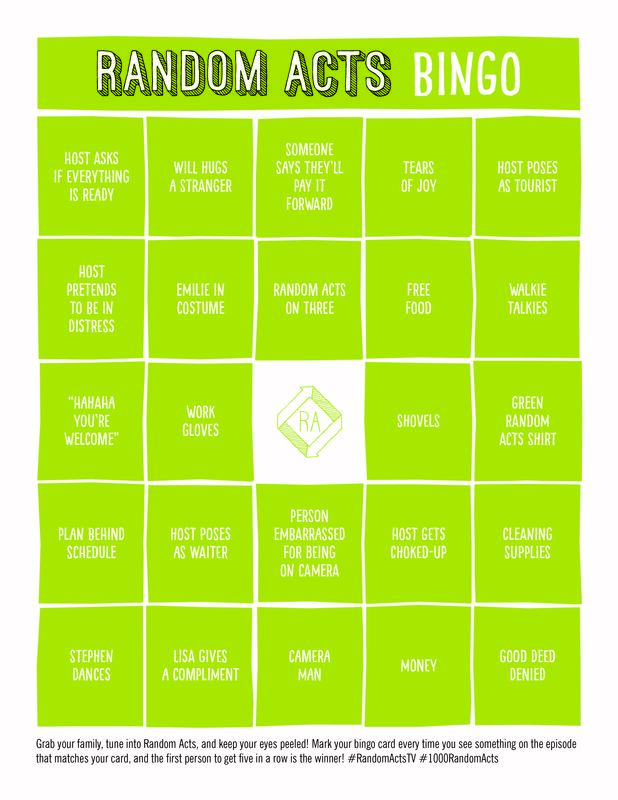 RANDOM ACTS SEASON 3 IS JUST AROUND THE CORNER! 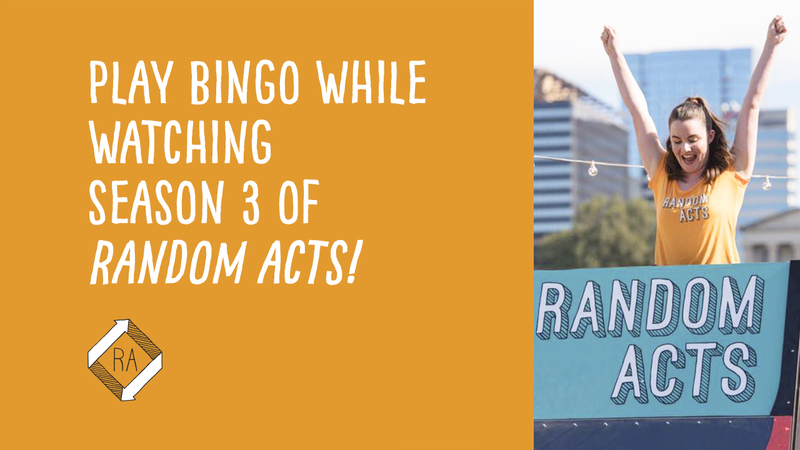 The Season 3 premiere of Random Acts is on Tuesday, April 3, 2018, and we can hardly wait! To celebrate the upcoming premiere, we created 6 different Random Acts BINGO cards in orange, red, green, teal, turquoise, and yellow. 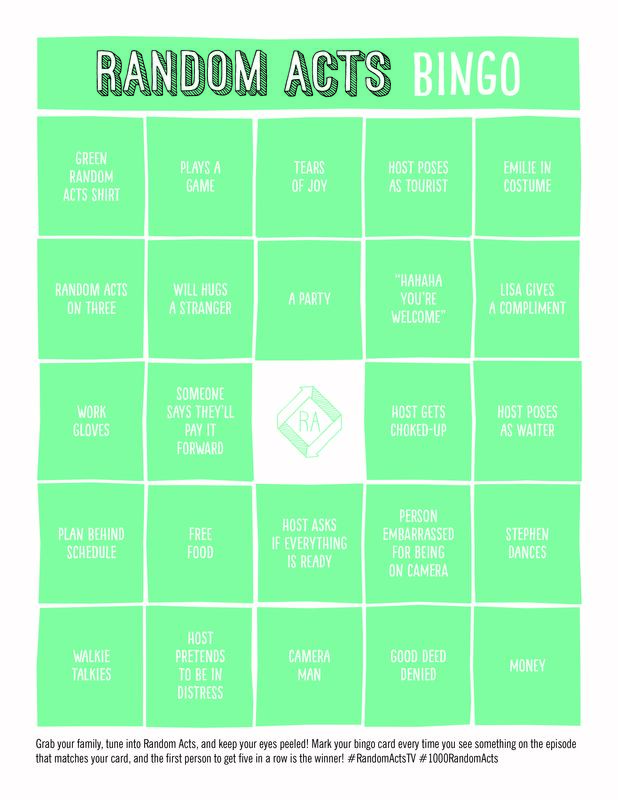 Be sure to download your cards in each color so you can watch every episode of Season 3 with your family and play BINGO while you're at it. And if you can't wait until April 3rd, break in your Random Acts bingo cards immediately by watching Season 1 and Season 2 on BYUtv.